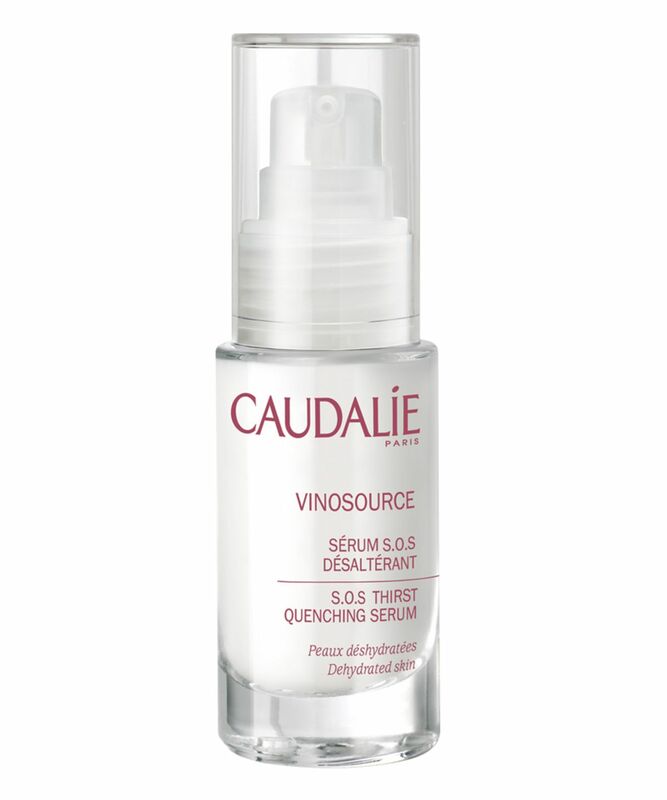 With Grape Water, Grape Seed Polyphenols and Hyaluronic Acid, Vinosource S.O.S. 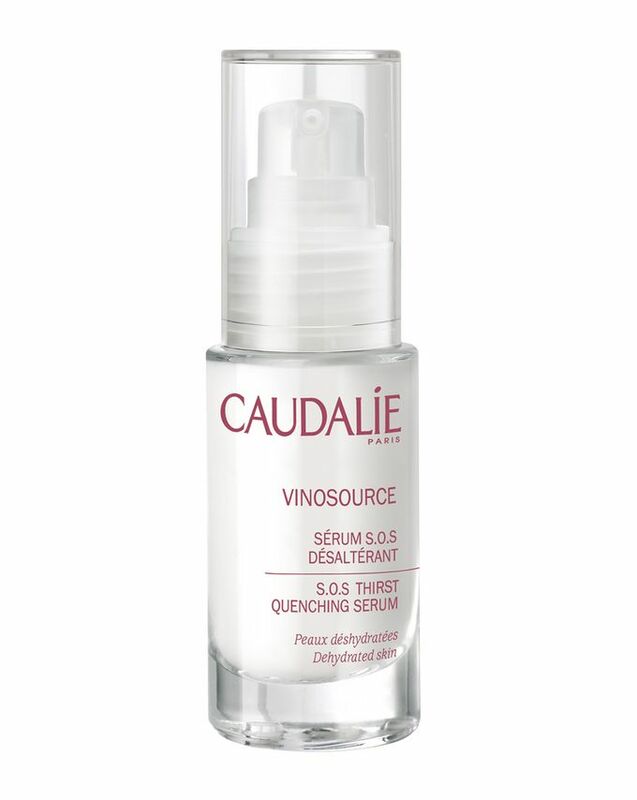 Thirst Quenching Serum harnesses the skin-reparative, rejuvenating and protective properties of Caudalie’s signature grape extracts, together with Hyaluronic Acid to attract and retain precious moisture to leave you with a healthy, luminous complexion. Renowned for their potent antioxidant properties – 10,000 times more powerful than Vitamin E and 62 times more effective than Vitamin C – Grape Polyphenols also deliver unparalleled protection against the skin-ageing effects of free radicals, to maintain skin’s health and help you look younger for longer! Massage over cleansed skin and allow to absorb. Follow with your preferred Caudalie moisturiser, or wear alone as a base for your make up. I got a sample of this in a beauty box over a year ago and have been using it since. It does wonders for my skin but you don’t realise until you run out. Which I have... and in the last couple of weeks have noticed increased texture in my skin, the dehydration around my eyes is creeping back and my skin doesn’t feel as calm as it did. Only drawback is the price but now I have some money I’m buying some more. 100% recommend if you have dehydrated skin. Did hardly anything for my skin. Didn't help, didn't worsen. It's very very light and watery so its hydrating but I can't really call it a serum. It just doesn't have that power. The most lovely, lightweight and gentle hydrating serum, I am on bottle number 3. First discovered this when I went to Sweden in December and my skin did not like the harsh cold. This serum helped A LOT. Hooked ever since. If you're on a pinch and need a lightweight hydrating serum that absorbs fast and feels nice on the skin, this is it. This will probably only work for younger skin but it makes for a good morning serum under makeup. Face feels plumped but it's not as high-performing as I would like it to be. This is a light serum that very hydrating and good for dry skin. Smell lovely. I went through the bottle quite quickly. 4 stars because I prefer vinoperfect serum more. This is a wonderful serum. It applies perfectly under makeup and a little goes a long way. I Use it every morning and I'm just repurchasing now after 4 months. It leaves your skin plump and supple allowing makeup to apply flawlessly. I got this for the winter time when my skin was more dry than usual and it was perfect for that when not overloading the skin with too much product. Very lightweight, would also work well in the summer but I've already gone through the bottle. Not sure I'd be in the biggest rush to repurchase. There are other hyaluronic serums that are cheaper and similar/better. The Ordinary beats this by far. I keep going back to this Serum. There is nothing that I don't love about it. My skin feels so soft and hydrated when I use it. Smells so fresh and relaxing in the same way and makeup goes on perfectly over it. I always love to try new products but there are very few that I keep going back to and this is one of them. I will buy it again and then again. I must have used up at least five of this bottle of greatness already. I have really sensitive skin so I tend to go for skincare with light consistency. This serum is light, absorbs quickly but yet moisturizing enough. A skincare staple, and I always buy backups just in case! Hydration in a bottle - literally! Quite a unique serum that is able to cater to lightly dry and dehydrated oily skin at the same time. Not heavy, actually quite light & runny in consistency - it doesn't make skin oily yet it provides everything it lacks. Beautiful bottle and scent are classic Caudalie - high quality for an affordable price.